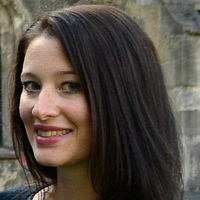 Miriam graduated from Université du Luxembourg in Psychology (with a specialisation in Psychophysiology) before completing a Masters in clinical psychology at University of Sussex. Before starting her PhD at City, she worked as a research intern at Stanford University School of Medicine and the VA Palo Alto Health Care System in a project developing and evaluating biopsychological treatment approaches for veterans diagnosed with PTSD. She is currently a 3rd year PhD Health Psychology student at the Centre for Maternal and Child Health research working on developing and evaluating a web-based intervention for women with postpartum anxiety. Ashford, M.T., Olander, E.K., Rowe, H., Fisher, J.R. and Ayers, S. (2018). Feasibility and Acceptability of a Web-Based Treatment with Telephone Support for Postpartum Women With Anxiety: Randomized Controlled Trial. JMIR mental health, 5(2). doi:10.2196/mental.9106 . 5th Annual Postgraduate Research Symposium, City University London, UK. City University London, UK (2015). 3rd Annual School of Health Sciences Doctoral Research Conference. City University London, UK (2015). 26th Alzheimer’s Researchers’ Symposium. Stanford, USA (2014). Annual Convention of the Association for Psychological Sciences. San Francisco, USA (2014). 2nd School of Health Sciences Doctoral Research Conference. City University London, UK (2014). 4th Annual Postgraduate Research Symposium. City University London, UK (2014). 29th Annual PsyPAG Postgraduate Student Conference. Cardiff, UK (2014). Third Annual Center for Innovation to Implementation, National Center for PTSD, and Health Economics Resource Center Research Assistant Conference. Menlo Park, CA., USA (2013). Description: Oral presentation: Hyperarousal in veterans with PTSD: A close look at the effects of a breathing training and sleep hygiene treatment on psychological and physiological hyperarousal. 13th Congress of the German Society of Behavioural Medicine and Modification. Luxembourg (2011). Description: Poster: Effects of a short, mindfulness- based breathing intervention on psycho-physiological, endocrine and subjective stress responses.